Squirrels are creatures that can be cute until they directly affect your home’s wear! They are naturally opportunistic scavengers that are always prepared to take the necessary measures required for food and shelter. Unfortunately, if they see the opportunity arise, they can also take residence in your home! It’s not unheard of to see a nest of birds in your gutters or eaves, with squirrels however you may find them in any nook or cranny of your home that has an opening. If they are in your attic or other places in your home were it can affect your home systems, squirrel damages may cause you problems. Squirrels can infiltrate any home if they see they are able to maintain reliable shelter & have available sources of food nearby. Does homeowners insurance cover squirrel damage? Generally speaking, standard homeowners insurance doesn’t cover rodent damages or removal. However, if you carry comprehensive insurance you probably are covered. Depending on the company you’re with, if damages are unexpected and sudden, repairs can be covered versus if it has occurred gradually over time (in which case they wouldn’t be.) If you undergo regular annual home inspections as recommended, you’ll be able to spot signs of damages earlier on. What does squirrel damage look like? Squirrel destruction to homes can range from exterior to interior damages that can affect your home’s structural make-up or systems. Squirrels can enter from exterior damages of your home in order to create a burrow, make sure to have the necessary repairs done as a preventative measure! Squirrels can carry diseases in their urine (Leptospirosis,) feces (Salmonella bacteria) and ticks (Lyme Disease) that can be detrimental to human health. Rabies is also a possibility for all rodents. Finally, the risk of Tularemia can come about from the handling sick or dead animals. As far as immediate dangers from squirrels, if they have rabies they may be more aggressive. Generally speaking, a bite from a rabies infected squirrel won’t transmit the virus to a human but it can transmit it to your pets. Can squirrels chew through walls? How do you get rid of squirrels naturally? Diced chili peppers in water is a natural squirrel repellent to spray around your home due to the irritant of capsaicin! The best squirrel repellents are irritation (like offensive odors) or taste based. A natural squirrel repellent for example, can include diced chili peppers with added water in a spray bottle. The capsaicin in the pepper will create a burning sensation around the nose and mouth much like it does to humans. Spray it around your home and for upkeep make sure to spray it after it’s been raining. Another option can be dropping peppermint oil onto cotton balls or placing peppermint plants around your garden or home. Lastly, mothballs placed in wire mesh or nylon stockings around affected areas are great repellents too. Remove food from your yard as that is the likely attraction. If you have a bird feeder, squirrel proof it. Place bird nets, chicken wire and fence stakes around plants they like to eat. Seal any openings around your home with caulk and steel mesh wire. Fill or cover roofing gaps with sheet metal flashing and a new shingle. Make sure there are metal hardware clothes firmly behind and around the edges of soffits, gables, power vents and caps on chimneys gables, soffits, and power vents in the attic. Squirrels naturally like to stick around environments where there is constant availability of food or shelter. As long as you take basic upkeep measures around your home or undergo home inspections, you’ll be able to prevent a squirrel infestation and the subsequent squirrel damages that come with it! with DRX DUCT LLC! If you want to remedy or prevent squirrel damages through your ducts or vents, this is a great option for you! Posted in air duct cleaning nj, Bacteria, NADCA, residential and tagged diseases, duct cleaning, food, homeowners, shelter, squirrels on March 14, 2019 at 6:11 pm by DRX Duct Cleaning. DRX Duct Dryer Vent Cleaning Services In New Jersey! With over 15,000 dryer-related fires each year, it’s vital to stay on top of routine dryer vent cleaning services in NJ. When lint from the dryer clogs the duct, it’s blocking the dryer’s ability to ventilate. This puts your home at risk for a fire. Dryer lint is highly flammable and can cause deadly fires when left to accumulate. Regular dryer vent cleaning services help prevent these dangerous and costly fires, reduces dryer downtime, and keeps your dryer functioning properly and efficiently. At DRX Duct Cleaning, we use truck powered vacuums, and unique tools that are a cut above the rest. We never skimp on our equipment, and we are committed to providing both excellent customer service and top quality duct cleaning with your satisfaction always guaranteed. We are NJ’s most exclusive duct cleaners, proudly serving the greater NJ area for over 10 years, with a staff with over 75 years combined experience in the air duct cleaning and HVAC industry. Not only are we members of the National Air Duct Cleaners Association, but we always guarantee an NADCA certified technician on site at every job every time, no exceptions. 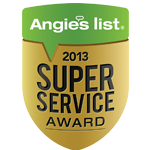 We put forth the effort that’s necessary to provide consistently exceptional service! At DRX Duct Cleaning, we make sure the job is done promptly, properly, and thoroughly every time for every job from residential air duct cleaning or commercial air duct cleaning, to dryer vent cleaning services, and even chimney inspection and cleaning, too. You can count on us. When you call DRX Duct Cleaning to schedule your dryer vent cleaning, we’ll remove trapped lint, animal nests, articles of clothing, and whatever else may be obstructing the dryer vents in your house. We use our high-powered vacuum trucks to perform the dryer vent cleaning, and we always test to be sure that the full length of the dryer vent is clean before we leave your property. For more information about the importance of getting your dryer vent cleaned regularly, or to schedule your dryer vent cleaning NJ with DRX Duct Cleaning, contact us at 908.755.2950 today! Posted in Chimney Cleaning NJ, Dryer Vent Cleaning NJ, duct cleaning and tagged air ducts, dryer vent cleaning, duct cleaning, fire, fire awareness month, nadca, vent cleaning service on October 14, 2017 at 1:48 am by DRX Duct Cleaning. Signs You May Need Air Duct Cleaning in New Jersey! If you suspect, or can physically see mold, mildew, slime, or other growth. Foul odors coming from your vents when you turn on your system. 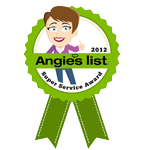 When dust or cobwebs are blowing from the ductwork, or visible on the registers. Frequent allergy flare-ups or general feelings of illness among members of your household. 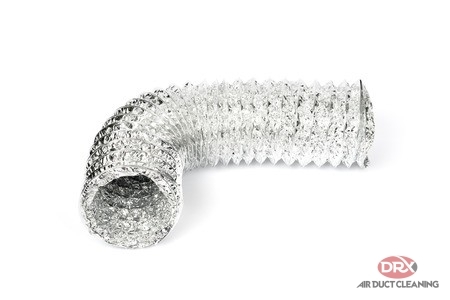 If your home has fiberglass ductwork, which is more susceptible to harboring contaminants than sheet metal ductwork. If your home has had any water damage. If there is evidence of insect or rodent infestation. Throughout the year, dust and other debris can accumulate in the ductwork of your home. Air ducts can be a breeding ground for mold, mildew, and other growths which can be hazardous to your health. Having your air ducts cleaned regularly has been shown to reduce these types of buildup, which can, in turn, reduce allergy responses and feelings of illness related to poor indoor air quality. Clean ductwork can also increase the efficiency and lifespan of your HVAC system. Keep up with regularly scheduled annual maintenance and cleaning. Ensure air intakes are properly located. If it’s time for your home’s routine duct cleaning in NJ, schedule an appointment with the experts at DRX Duct Cleaning. We are proud members of the National Air Duct Cleaners Association and have been serving locations across NJ for over 10 years. 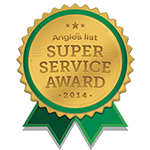 Our staff has a combined 75 years experience in the industry, and we provide the best air duct cleaning service the greater NJ area has to offer. In addition, we guarantee an NADCA certified technician on site at every job every time. For more information about our NJ duct cleaning process, questions about your air ducts, or to schedule an appointment for an NJ air duct cleaning, DRX Duct Cleaning at 908.755.2950. Posted in duct cleaning, Duct Cleaning NJ, Vent Cleaning NJ and tagged air ducts, before and after, dirty ducts, duct cleaning on September 13, 2017 at 5:17 pm by DRX Duct Cleaning. with our windows down, taking in all that fresh air…but what about the air inside our homes? How can we improve our indoor air quality? open for at least 4-5 hours if you’re able. filter will choke out and burn out your system, leaving you with a hefty bill to pay. maintenance, routine servicing, and other helpful information! Posted in duct cleaning and tagged air ducts, duct cleaning, hvac, vent cleaning on March 17, 2017 at 9:38 pm by DRX Duct Cleaning. WHY IS IT SO IMPORTANT TO CHOOSE A NADCA CERTIFIED COMPANY TO PERFORM DUCT CLEANING??? -NADCA (National Air Duct Cleaners Association) sets the standards and codes for proper procedures in the duct cleaning industry. Choosing a company solely based on price & not their level of experience, training, and certifications could cost you much more in the end. -A certified company represents honesty. We won’t bait and switch you on the price. The estimate you receive is the same price you’ll pay on the day of service. -A certified technician will use the safest & most effective tools and methods to perform your air duct cleaning in accordance with the EPA. DRX DUCT never uses inferior equipment, products, or procedures not authorized by the EPA to perform our services. -All certified technicians go through a strict training process and testing to ensure they have a proper understanding of the correct way to execute air duct cleaning procedures. IN CONCLUSION …. Choosing a NADCA certified technician like the ones found at DRX DUCT LLC insures that you will receive a thorough cleaning, fair & transparent prices, and service preformed by a technician who is both thoroughly versed in his trade & using the proper equipment to service your air duct system. Call us now at 908-755-2950 or visit our website at www.njairduct.com for more information. Posted in duct cleaning, NADCA and tagged duct cleaning, nadca, training on September 13, 2017 at 5:30 pm by DRX Duct Cleaning.